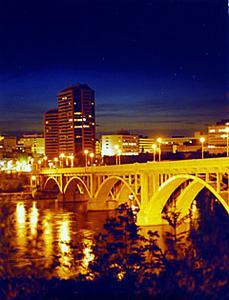 Goin' "Look no heads or tails"
Goin' "Look my lucky prize"
In the late 1920s, a consultant to the City of Saskatoon's Planning Board recommended that "a downtown commercial area could be saved from becoming a slum by building a bridge linking Broadway Avenue to it". C.J. Mackenzie, the Dean of Engineering, who had a strong interest in city planning, lobbied for the project but was told by the Mayor of Saskatoon that if he wanted to see the project go ahead he should run for City Council and speak from "the seat of power. "”He did run, and was elected, and during his term in office the project was approved and the necessary bylaw was passed. But it may only have been the advent of the Great Depression and federal make-work projects that saved that Broadway Bridge project from taking several years to be initiated. The project was approved as a federal make-work project in November 1931 (with funding from the city and provincial governments as well), and full-scale work began in late December 1931. Piers needed to be built while the river was still frozen. Dean Mackenzie took a leave of absence from the University to accept the contract to design and build the bridge, while his engineering staff consisted entirely of recent College of Engineering graduates. Over 1,500 men worked on the job. Nicknamed the "Engineer's Bridge" or "Dean's Bridge," the Broadway Bridge was officially opened on 11 November 1932 and was known as one of the finest structures of its kind in Canada. This song is so sad and wistful. I have about 33 joni releases (400 songs) and it is always beautiful discovering something new. I'm currently listening to the beautiful selection on Songs of a Paraire girl and I am completely stunned. I have a friend who I share Joni with. It's such a nice thing because there are not many South Africans who know joni that well. She is the most special artist in the world. I feel it's my duty to pass Joni on to younger generations. After I purchased Travelogue for myself and my college girlfriend (now married with her own family) I felt that I had come to a milestone in my life. No longer really a young man, but one in the ranks of verifiable adulthood. Whenever I listen to the last 5 songs on the CD (including Cherokee Louise) I feel sad for the entire world. Mostly, I think, because this wonderful music (with the most beautiful lyrics imaginable) is increasingly a thing of the past. As Joni has written in several songs, nothing lasts for long. 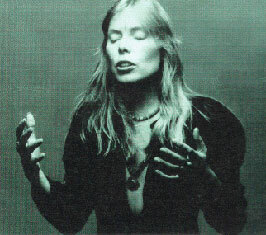 At least I got to live in the Joni Mitchell era.